Active MLS listings of homes for sale in Stonewood Commons appear below. 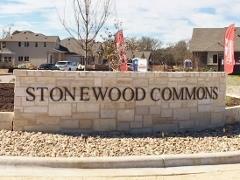 Call Jim at 512.913.1557 if you want to see a home in Stonewood Commons, . Neighborhood Location: The Stonewood Commons neighborhood is located on the west side IH-35 in Buda. From Austin, take IH-35 exit 223A. Turn right onto Main Street and continue to just past Downtown Buda, then take a right onto FM-967. Stonewood Commons is about a mile from there--turn left at Tilly Lane by the St. Elizabeth Episcopal Church. Market data for home sales in Stonewood Commons will be added yearly. Sitonewood Commons Buda real estate market data from the Austin Board of Realtors, 1/1/2016 - 12/31/2018. 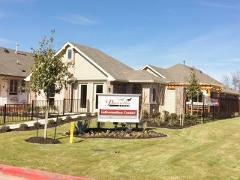 The Stonewood Commons neighborhood was developed by Pacesetter Homes (also the developer of the Summer Pointe subdivision in Buda). 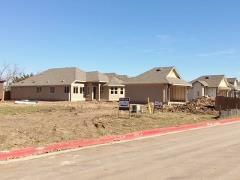 In February 2018, the construction of 48 new homes in this neighborhood has been completed. Pacesetter Homes built two different lines of homes in Stonewood Commons: its Courtyard and Craftsman Collections. Lots in Stonewood Commons are typically 45' wide x 130' deep. The Courtyard plans feature detached garages in front of the residences with an open space (courtyard) between the two. Five Courtyard models were built with 1,150 to 2,111 sq. ft. of living space. The single-story models come with 2-3 bedrooms and 2 full bathrooms. The 2-story home includes 4 bedroooms and 3 baths. The Craftsman Collection homes are offered in three 1-story layouts (1,252 sq. ft. to 1,533 sq ft.), and in two 2-story models (1,679-1,868 sq. ft. ). Homes in Stonewood Commons are equipped with many standard features, including electrical and natural gas service, energy efficient design (14-SEER HVAC), 30-year roof shingles, 6-panel interior doors, black Whirlpool Energy Star appliances, and 6' privacy fences. Resale home buyers in Stonewood Commons will find homes that include features like granite countertops and undermount sinks, SS appliances, and ceramic tile kitchen backsplashes. Homeowners will be required to maintain a membership in the Stonewood Commons subdivision Home Owner's Association. These fees provide for upkeep of any common areas in the subdivision. Stonewood Commons Community: Travel, Shopping, Recreation, Etc. Travel to and from Stonewood Commons was greatly improved with the completion of FM-1626 road improvements in late 2015! The new lanes improve travel and road safety for residents headed toward Austin for jobs and shopping, and home from work. The primary access paths to points north (City of Austin, for example) is via FM-967 to FM-1626 to Brodie Lane to W. Slaughter Lane to Mopac, or via IH-35. 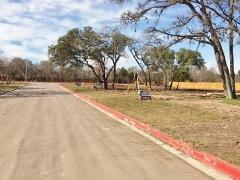 There are plenty of shopping and eating developments in South Austin (Southpark Meadows, e.g. ), in the Buda and Kyle areas (Cabela's, Super Wal-Mart and the HEB Plus grocery store, Logan's Road House, Cracker Barrel, and Chili's, e.g. ), and in San Marcos (Tanger Outlets, Premium Outlets, e.g.). Golfers can enjoy a round at the Plum Creek Golf Club (in Kyle), and at the Grey Rock Golf Club (owned by the City of Austin, located in Circle C Ranch). There are many nearby park and outdoor facilities, including the City of Buda parks, the City of Austin Metro and Searight parks along W. Slaughter Lane, Zilker Park, and McKinney Falls State Park. Students who live in Stonewood Commons attend schools of the Hays Consolidated Independent School District. Prospective buyers of a home in Stonewood Commons should confirm the currently assigned schools and other school information with the Hays CISD.